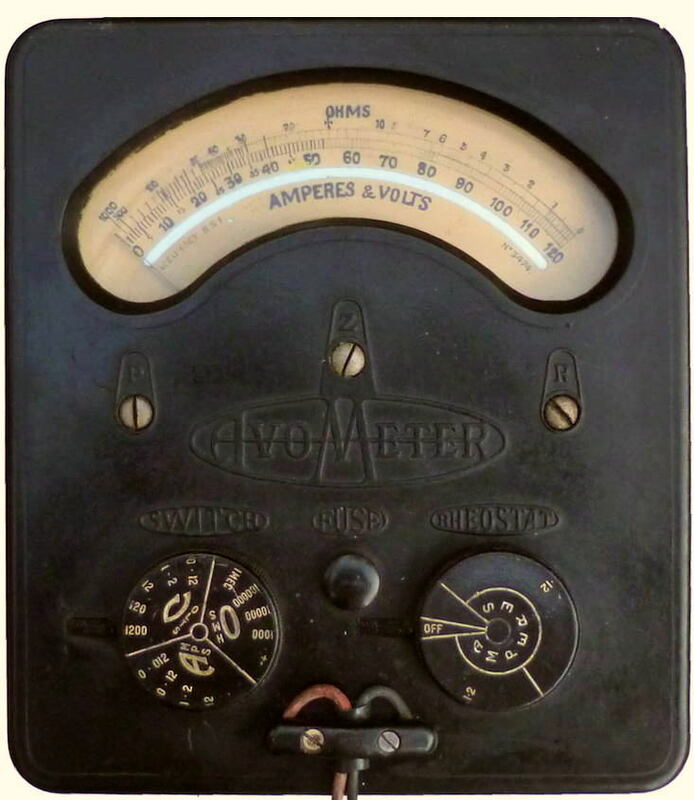 The AVOmeter model 2 was a development of the original AVO multimeter which started life back in 1923. You will find more information here about these instruments and other similar models. AVO also produced a range of smaller multimeters which are described here. The model 2 which has a sensitivity of 6mA is a direct descendant of the original AVO multimeter designed in 1923. I understand that the model 2 started production in 1927, though this one coming from the Douglas Street works must have been made after 1933. 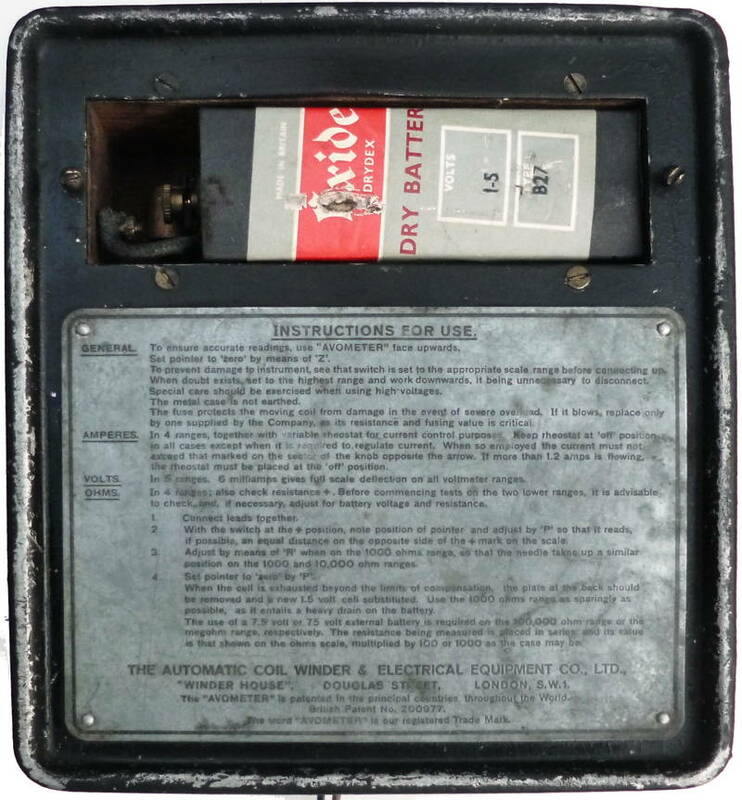 The model 6 which was first made in about 1934/5 is quite a rarity as by that time the firm was also producing the more versatile universal AC/DC models. 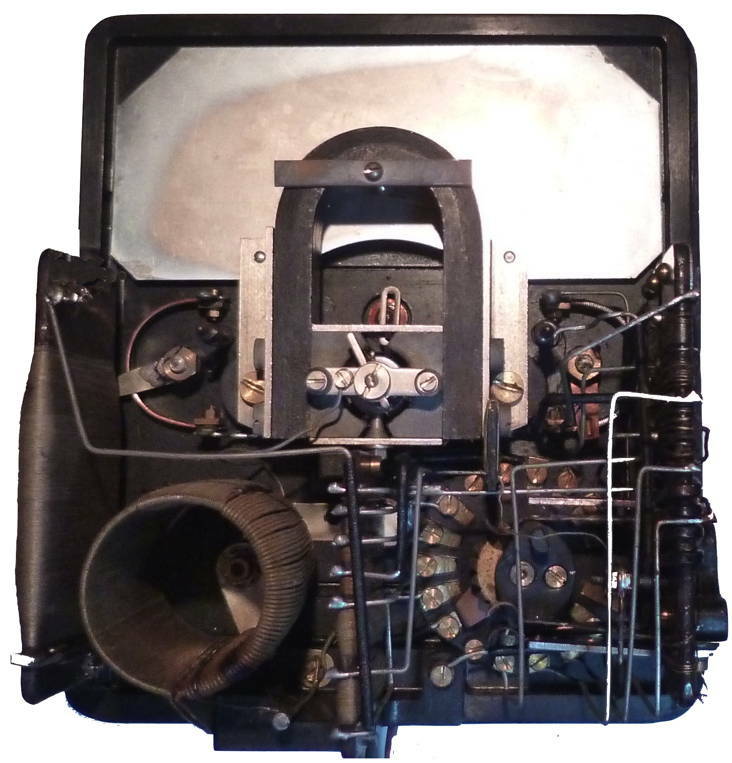 The later model 6 with the divide by 2 button shown here on the right, looks much the same as the previous model 2 except the horse shoe magnet is aligned at right angles to the panel.